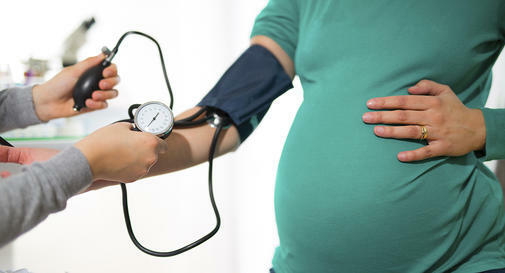 The Pre-Eclampsia Program at Catholic Home Care uses evidenced based practice guidelines to combine skilled nursing visits and home telemonitoring services to reduce hospital readmissions in women who have experienced elevations in blood pressure either during their pregnancies or shortly after delivering the baby. This identified high risk population benefits from home visits by specialty trained clinicians incorporated with daily blood pressure monitoring. The data is transmitted to the telehealth clinicians (see section on Telehealth Program) to allow for proactive collaboration with the patient’s physician. The transmitted data is made available to the physician so that medications may be initiated or adjusted according to the patient’s blood pressure.